Is this the final death of Adobe Flash? You're Here: Home / Blog / Digital Signage / Is this the final death of Adobe Flash? Software giant Microsoft is taking some bold action and following Google’s lead in promising to block the ubiquitous Adobe Flash content by default in its newest web browser Microsoft Edge. The company is adding a feature to its Edge browser that will automatically block Adobe contents, similar with what Google has launched recently. For years, the tech world has been predicting the impending death of Adobe Flash, and the latest introductions from tech giants Microsoft and Google will only accelerate the death process and make that prediction real. And so starts the slow strangulation of Adobe Flash as Microsoft starts to block Flash content in certain situations. According to Microsoft Windows‘ blog post, the company is extending the functionality of the Flash content click-to-run in the Microsoft Edge browser, starting in the Anniversary Edition of Windows 10. The update will significantly reduce power consumption as the Microsoft Edge browser started to block unnecessary peripheral content. Adobe Flash is well- known in the tech circle for its numerous security issues, it’s a notorious insecure multimedia platform that a majority of today’s web attacks are directed against. Malicious advertising is one big example of this Adobe Flash-based exploitation. Its entire life history is riddled with risk and lots of security problems. Every year, it required near-constant patching and update to fix a slew of the very serious zero-day vulnerabilities, the remote code-execution vulnerabilities, the denial of service and much more. 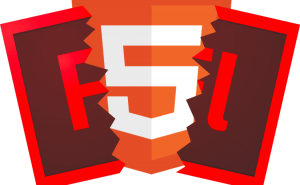 Google’s first big Flash-killing move came last year when Google’s video-sharing arm, Youtube, announced that it will stop using Adobe Flash as its default video player in favor of the newly introduced HTML5 standard. And recently, Google has released the latest version of its Chrome browser, the Google Chrome 56, to address multiple Flash-based security issues and eventually kill Flash contents in favor of HTML5. Google said it would start blocking Flash with the recent release of Chrome 56 according to Digital Trends. During the update, all users will see HTML5 content by default and Adobe Flash blocked. Google is also encouraging the use of HTML5, which said to be much faster and lighter. The Dynamax Response to this trend. Dynamax have been leveraging Flash for a number of years, whilst also keeping our eye on the trend away from Flash. For a while we have been beta testing a whole new version of our Digital Signage Application which leverages HTML5 rather than Adobe Flash, and we hope to bring this to market in the near term. Anyone who wishes to beta test our HTML5 interface is welcome to read about it and sign up here. This entry was posted in Digital Signage, Tips and advice, Uncategorized and tagged AV technologies, digital signage, digitalsignage.NET by hsmith. Bookmark the permalink.